You might’ve noticed that your child’s favorite daily activity has nothing to do with oral hygiene. It is very hard to convince your child to brush regularly because it’s just another chore. Therefore we felt the need to write this particular oral hygiene instructions for child blog post. There is a way to trick your child into being more responsible when it comes to dental health. Turn the teeth brushing time into a fun time. Ask your child to copy what you’re doing, tell a story related to teeth-brushing. Immersed in this world of fictional characters, your child is more likely to obey. When possible, pass the toothbrush over to your child and let him/her do it for themselves. This way you’re not unintentionally hurting your child’s gums and creating aversion towards brushing. Most of the time it’s hard to tell what the child is experiencing while we’re brushing their teeth for them. The rewards system works incredibly well with children. Come up with your own system based on your child preferences. This can be based on stickers that they get daily for completing the task or after accumulating a certain number of stickers. Offer a token of appreciation for a job well done by taking your child to a favorite store for a tiny prize. Why not try something like getting your child a toothbrush with a face of their favorite animated character? This way you’ll incorporate more fun into the routine. Finally, let your child play with the toothbrush. They can play pretend and brush the teeth of their toys and stuffed animals. This way your child will form a habit. 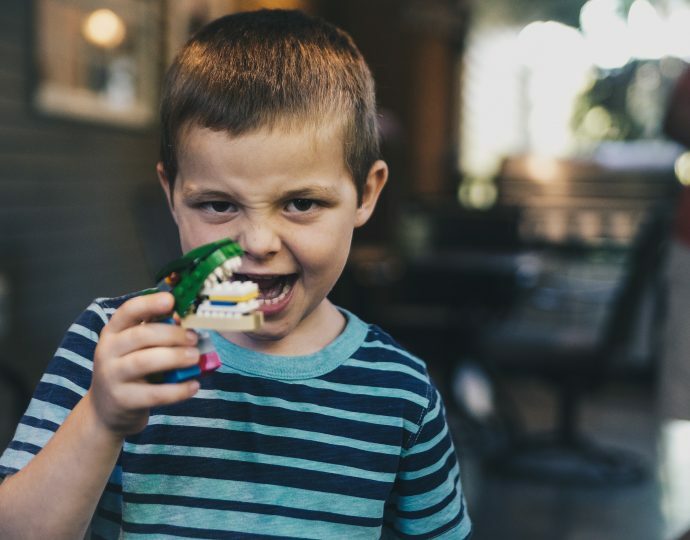 It is important to create the connection between the brushing of the teeth of the toys and your child’s teeth as well. Ask him/her to brush own teeth when done with the toys.